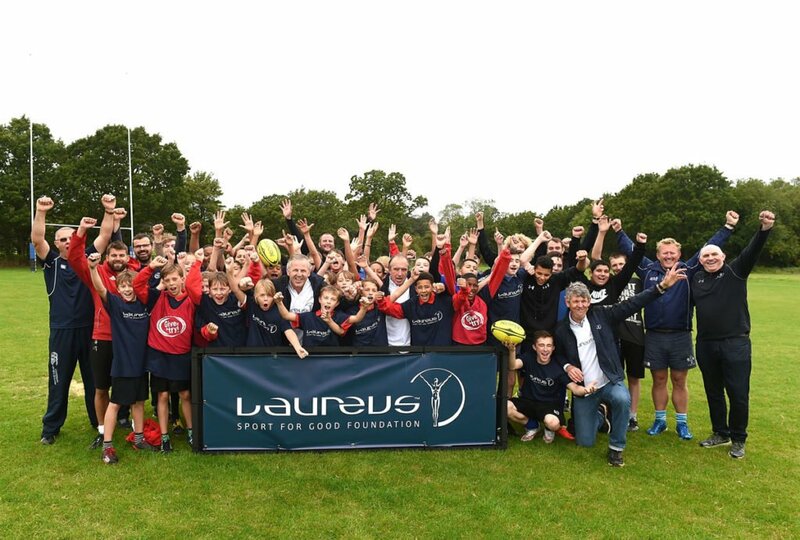 Laureus Academy Members and legends of the world of rugby, Sean Fitzpatrick, Morné du Plessis and Hugo Porta have inspired the next generation of rugby talent at an event in London. The former rugby stars took time to meet and inspire youngsters from both the Laureus-supported Active Communities Network and rugby-focused social inclusion charity School of Hard Knocks. The young boys and girls learnt about the legends’ achievements before receiving hints and tips on various aspects of rugby from Sean, Morné and Hugo. Former All Black captain Sean Fitzpatrick, who is currently Deputy Chairman of the Laureus Sport for Good Foundation, offered his insights on the technical aspects of the lineout and scrum to the youngsters, as well as giving the boys and girls a some tips on scrummaging and tackling. Morné du Plessis, who captained the Springboks during his playing career but most famously was Team Manager for the Springbok side which claimed an historic victory at the 1995 Rugby World Cup. Having just been inducted to the World Rugby Hall of Fame the previous day, Morné inspired the youngsters on the power rugby has to change the world. Hugo Porta, one of the best fly-halves in the world in his prime, played a central role in the rise of South American rugby during his time leading Argentina. The young aspiring boys and girls were given some hints and tips into the kicking side of the sport from one of the best in the business.